You are currently browsing the tag archive for the ‘Royal Caribbean’ tag. 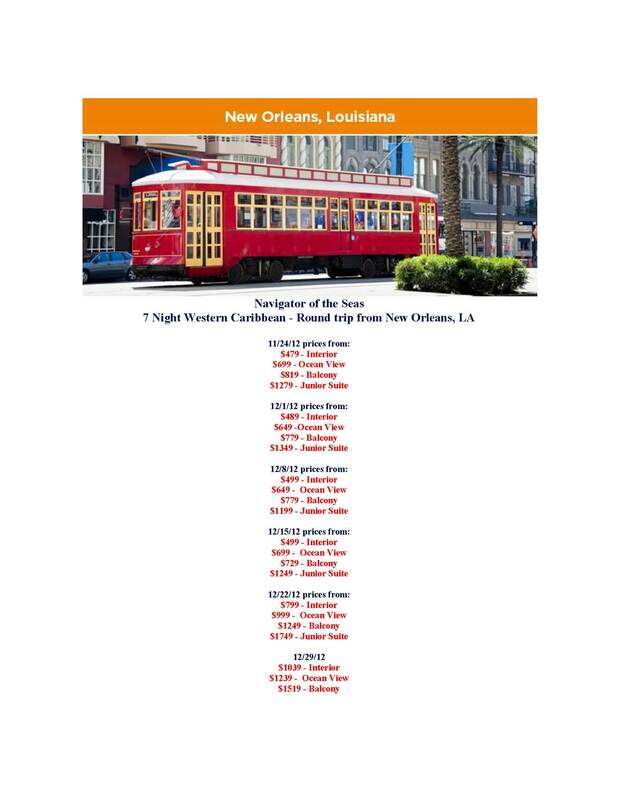 Cruising out of New Orleans – AMAZING PRICING! So you want to go to the Caribbean, but who wants to depart from boring ole Fort Lauderdale or the over populate Miami? Consider adding a little party before or after your cruise with a departure from New Orleans! 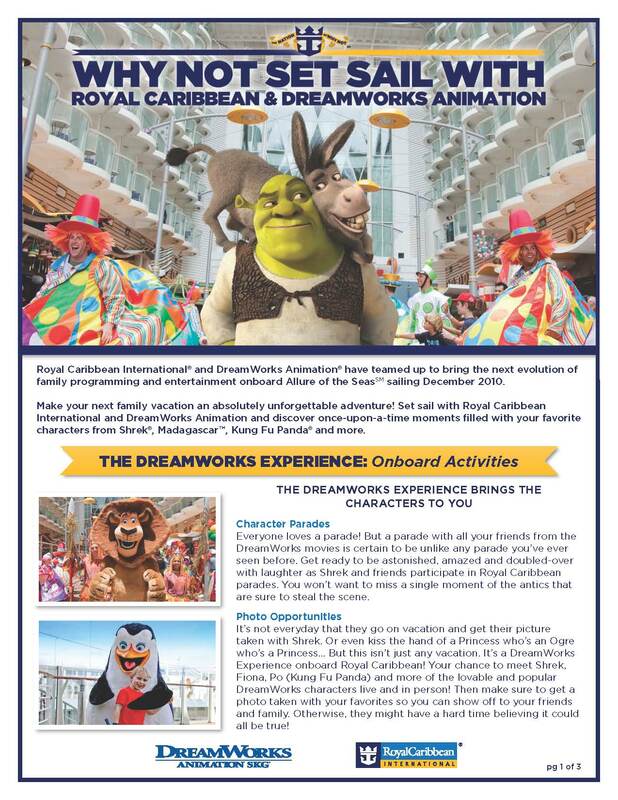 Royal Caribbean International & DreamWorks Animation Partnership! Just when you did not think Royal Caribbean could do any better! 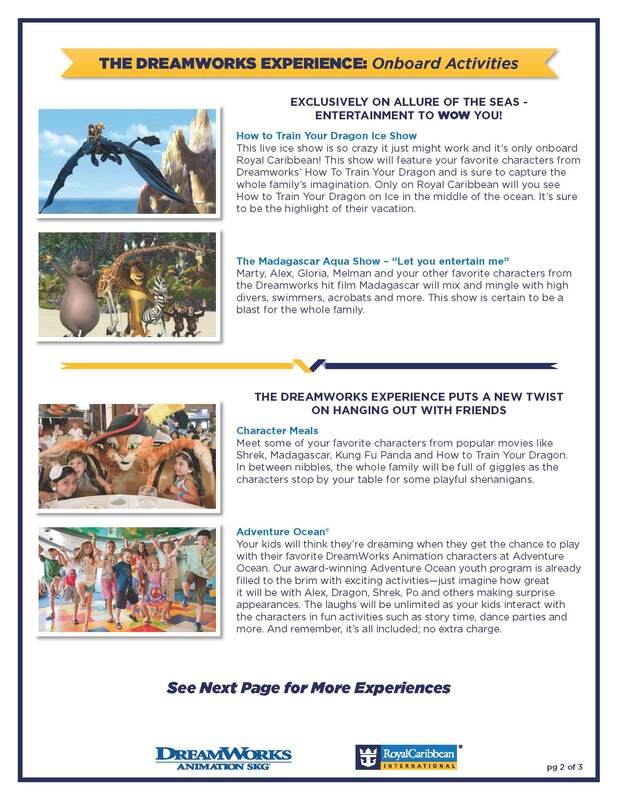 Contact me today to book your next AMAZING family vacation onboard the Allure of the Seas! It’s back!!! 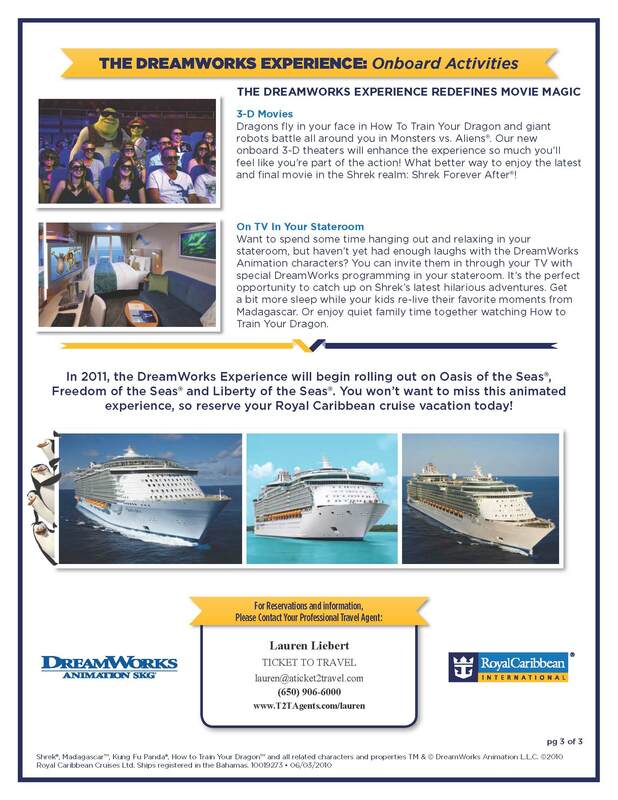 Contact me on May 18 or 19, 2010, so you don’t miss out on this great deal from Royal Caribbean! 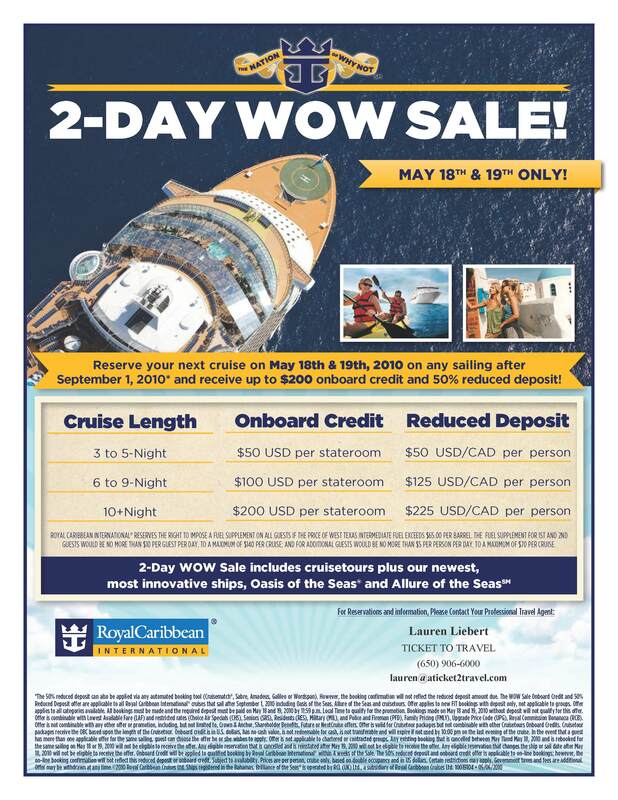 On-Board Credits and Reduced Deposits!! Sounds to good me!